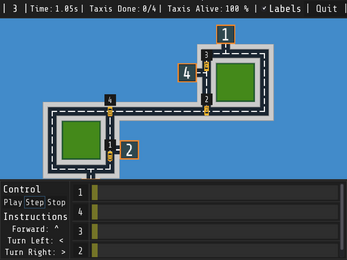 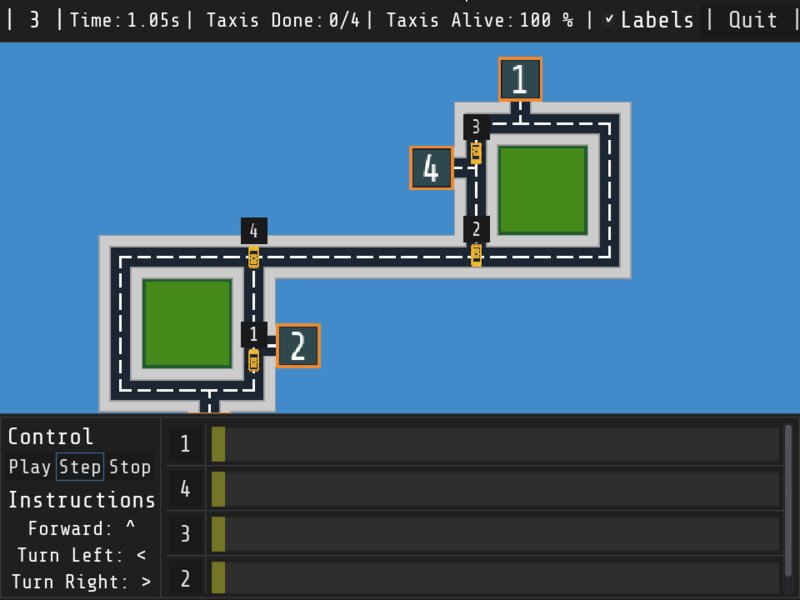 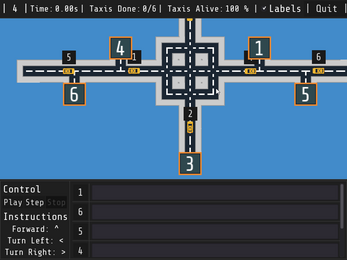 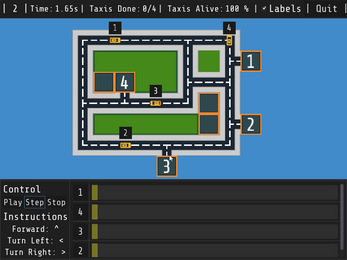 Have you ever wanted to program a fleet of taxis turn by turn, intersection by intersection as if each individual driver in your fleet was a brainless automaton who needs extremely detailed instructions? 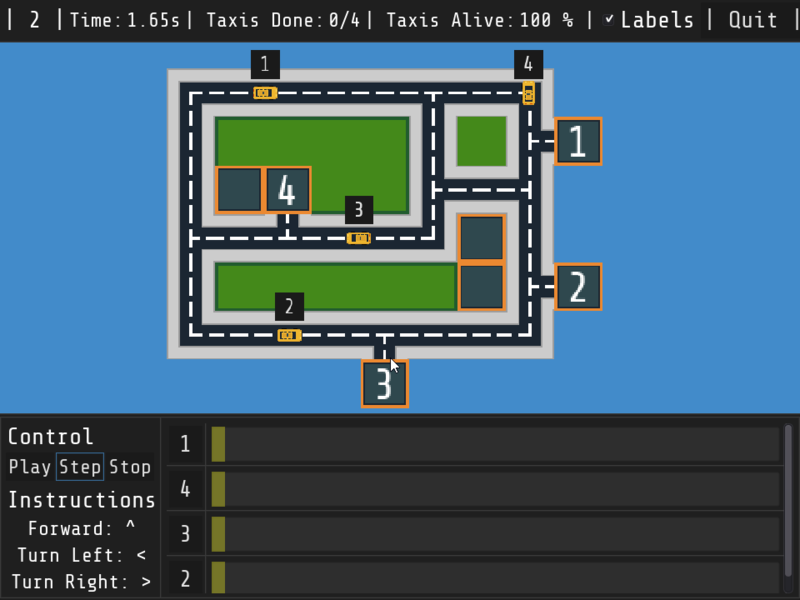 Well, do I have the thing for you! 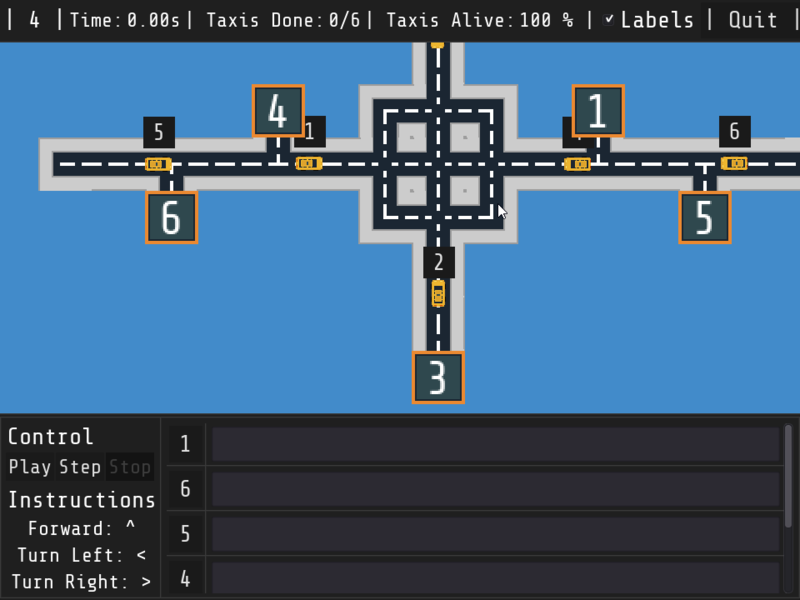 Enjoy this game where you write instructions for each individual taxi as you try to get them to reach their destinations without losing too much of your fleet, and don't worry, if you fail once, you can easily adjust and restart!